We cannot imagine our lives without electricity, but it is a scarce resource. Needed not just for cooking, heating, cooling, lighting, and electronic appliances in our homes, it is also critical for transport, industry, commercial, institutional, recreational, medical and governmental activities. Electricity is the most expensive form of energy, but the cleanest and of highest quality. Given the resources to produce electricity are limited, saving the electricity through smart planning is essential for a better future. Why should we save electricity? Economic benefits: Electricity is produced in power plants which require huge capital investments. Then there are recurring expenses for fuel, maintenance, salaries etc. The losses in generation, transmission, distribution add to the cost. It costs more to generate power than to save it! Social benefits: 30% of our population, mostly the rural still do not have access to electricity. They depend on polluting fuels like Kerosene to light homes. By saving electricity, we can share the same with the underprivileged population. Their children can get better education and health facilities. Their economy also improves as they can work for longer hours. Environmental benefits: The efficient use electricity will help in lesser emission of carbon dioxide (CO2) and other Greenhouse gases and particulate matters. With more emphasis on electrification of transport sector, the pollution in cities will reduce. Saving electricity not only helps us reduce our bills but also results in several benefits to the society, nation and the planet. Do you know it is possible to save electricity by using it intelligently and smartly without sacrificing on comfort or convenience! But how to save energy? As depicted in the Energy Pyramid above, there are different ways, but first we need to measure our consumption! Adopt the ABC approach i.e Accounting, Budgeting (Best Practices) and Controlling for maximum benefits. Open a file to keep records of electricity bills. Safety First-understand all electricity safety measures before starting. Do not attempt anything which requires services of a qualified electrician. Understand how the electricity meter works and start taking meter readings twice a day i.e at 7 am and at 7 pm to see the consumption pattern in daytime and nighttime. Make a list of all electricity consuming items in the home with their rated power in watts. Estimate the approximate hours of use. Enter the data in an Excel sheet in the following format. Switch off everything – check the meter, it should not be working. The difference is the approximate consumption by the appliance. You could repeat the exercise in the night hours and at different settings of thermostat for better results. Similar calculations shall also be carried in different seasons. Coming back to point (4) above, the estimated monthly electricity consumption thus arrived should be compared with the bill to ensure that the meter is working properly and to identify the potential electricity saving measures. As explained earlier, one can save electricity by adopting conservation, efficiency and renewable energy measures. Teach your family members about the losses (see table-1) due to ‘Standby consumers’ (Ghost Consumers) and instruct them to switch off electronic gadgets from main switch instead of Remote. Set computers on power saving mode. Clean lighting fixtures, ceiling fans, and AC filters and coils regularly. Use daylight and ‘free cooling’ (i.e opening the windows) as much as possible. Ensure that appliances are used smartly and intelligently e.g.- set thermostat of fridge as per weather conditions / load. Read the user’s instruction manuals for guidelines. At times manufacturers may give insufficient/ wrong information. Double check the instructions and adapt them to suit your usage. Avoid using appliances during peak load hours (morning and evenings). Use during late night (after 10 pm) or early morning (before 6 am) to reduce peak demand. This will also keep your electric wiring in healthy condition. Use ACs at higher thermostat setting along with a ceiling fan i.e. 27-28 Deg.C. Discontinue the use of Incandescent Lamps and Compact Fluorescent Lamps (CFLs)- replace them with Light Emitting Diode (LED) Lamps. The so-called ‘zero watt’ bulbs actually consume 10-15 watts -replace it with 0.5 watt LED lamp. Provide 2-3 watt LED Lamps for areas where low illumination will suffice. Provide T5 Tube lights or T8 Tube lights with electronic chokes in place of T12 Tube lights. Now LED tube lights are also available at reasonable cost. Replace old ceiling fans with 28 watt super energy efficient fans. Provide Sensors to automatically switch off lights/Fans etc when not in use. Make it a policy to always buy highest efficiency latest gadgets. For example-whenever AC is to be purchased buy latest Inverter type AC or the ones coming with highest ‘Energy Efficiency Ratio’ star rating. Use Solar DC fan for Cooling requirements during power cuts instead of providing an Inverter. Make use of solar passive techniques to minimize the use of electrical appliances for cooling/heating etc. Once a system is in place to introduce all measures to save electricity, it becomes important to ensure that this is followed religiously by all members of the family. This part can be made interesting and rewarding by introducing an Incentive and penalty scheme. A piggy bank may be kept for this purpose and any member found wasting electricity may be fined a sum equal to potential loss and asked to deposit that much money in the piggy bank. The money thus collected may be used partly to fund purchase of new energy efficient gadget and partly to have an outing for the family. 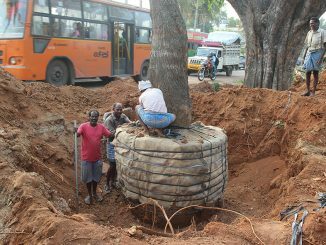 Transplanting trees that will be felled for infrastructural projects in cities is a great way to save them. Here are some pointers on how to get it done. The well-trodden path or the road not taken – choose the path you want to tread. 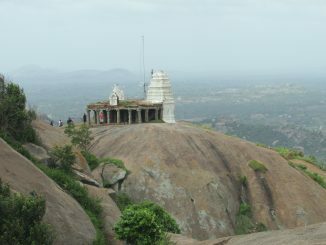 The Hutri hill, with its brimming pond and stupendous views, is sure to enthrall you.